Three members of the Minnesota State Senate have been honored in the Legislative Evaluation Assembly’s 2016 Report on the Minnesota Legislature. Three legislators received an honorable mention. Honorees: Senators Bruce Anderson, David Brown, and Dave Thompson. Honorable Mention: Senators Michelle Benson and David Osmek; Representative Steve Drazkowski. A half-century ago, candidates for the Minnesota legislature ran on the ballot without partisan designation, and legislators met in session every other year to conduct the business of the people. Many bills were passed, but they were fairly simple. Certainly, not all the laws that passed were good laws, but they were easier to understand and to repeal if they created more problems than they addressed. The simplicity allowed a good citizen legislator to achieve competence and function effectively without pursuing a full-time career as a government official. Had the underlying processes not been transformed, tremendous advances in research and communications technology would make it possible today for conscientious voters to more effectively monitor their state government and hold their elected officials accountable. 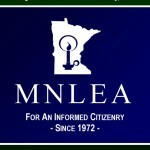 However, there has been so much transformation of Minnesota government toward an administrative state that a conscientious citizen today encounters more obstacles to tracking or influencing state government than when there was no internet and when citizens had to rely on professional media or be physically present to track government actions. “Minnesotans increasingly distrust politicians, parties, the establishment media, and special-interest groups, but are overwhelmed by the unnecessary complexity of government. When their expectations are reduced to more convenience and more entitlements, the administrative state grows dangerously, without principled and effective opposition,” notes LEA President John Augustine. In contrast to the thousand-or-so bills passed every other year in the late 1960s and early 1970s, the last two years have had 80 and 109 session laws made, respectively. This is not because the reach of government has gotten less ambitious. Instead, adherence to the constitution’s single-subject rule has fallen by the wayside. Many more policy and finance decisions are crammed into fewer bills, and more policymaking is done by unelected bureaucracies that have grown dramatically in the last half-century, such as the Metropolitan Council or the Board of Water and Soil Resources. In the mid-1970s the Minnesota legislators began having annual sessions and partisan designation on the ballot. Furthermore, legislators increasingly began to serve on various unelected commissions that meet outside of regular sessions, and the possibility of having a special session at almost any time looms larger than ever. It has become more difficult for legislators to maintain an occupation outside of government, which kept them more grounded in the communities they are supposed to represent. Meanwhile, appreciation from partisan caucuses or more specific special interests has become more integral to legislators’ accomplishments. The practice of consolidating most important legislation into omnibus bills that must pass to maintain government operations spawned an even more corrupt practice of inserting new policy proposals into the omnibus spending bills. Legislators now get congratulated for passing a tax-law change in a spending bill—the ends justify the means. The latest trend we are observing are administration-driven “department” or “agency” bills that are not listed as omnibus bills, yet combine all policy requests for a department or agency into one bill. In the case of the MN Dept. of Health policy bill, it forced legislators who wanted to allow pharmacists to approve distribution of medical cannabis via telemedicine to also vote for a three-year extension for MDH to access patients’ private health data through the all-payer-claims database. Initiate more aggressive challenges to violations of the single-subject rule through public statements and courts. Sunset the bureaucracies that are overly intrusive upon citizens’ freedoms, especially those that usurp proper legislative functions, and oppose the creation of new ones, such as an unelected council to determine legislative compensation. Consider removing partisan labels from the ballot. Stagger Senators’ terms so at least some of the Senate faces voter scrutiny at every election. Require initial floor votes on budget bills early enough for the legislature to have time to override possible vetoes. Expand the power to call special session to include a supermajority of the entire legislature, so that vetoes made after a session ends are not absolute. These last two measures would prevent sessions not under one-party control from devolving into a “game of chicken,” when the governor can use veto threats, the threat of shutdown, and the exclusive power to call special session to impose the administration’s agenda on the legislature. Eighteen floor votes were scored this year; ranging from omnibus bonding and supplemental spending bills, to the presidential primary bill, to a Dept. of Health policy bill, to a bill governing law enforcement’s use of body cameras, to bills for planning and implementing REAL ID, to amendments related to felon voting-rights restoration and a diversity plan for legacy-fund appropriations.